Hi all, Christmas is pretty much over, we have New Year to look forward to (I don’t know about you, I have several resolutions)! Before we take our post big-meal countryside stroll into the glade of exciting new happenings, we just wanted to share some of our Christmas listenings with you. Christmas has been cool, we have even had some snow and here are some a couple of shout-outs from the world of folk we have been playing in our spinny machine. Like a child rediscovering his old toys in a sealed wooden chest, GreenMatthews are revisiting the Folk Opera as an artform, a fanfare should go their way just for the attempt. As they point out, the touring and recreation of The Transports this year has, “renewed an appetite” for this form of music and performance. The Transports has done very indeed, making people want more and leading to further touring dates. In a way, GreenMatthews might have a harder job than The Transports. By tackling a Christmas Carol. the trio are adapting an incredibly familiar story that is forever linked with the Christmas season to the extent that it is probably tradition itself. People will undoubtedly know about Tiny Tim, Ebeneezer Scrooge and the three ghosts even if they do not remember the specifics, and the job of these musicians is getting the tone just right in the face of everyone’s expert opinion on the matter (Muppet’s Christmas Carol for me all the way). It probably depends what you are after but GreenMatthews delivers a rather upbeat joyous and accessible collection of adaptations that pace and lyric-wise are quite faithful and clever. A beaver might appear to destroy nature to build a dam but it all serves a wider purpose; similarly this disc does some nice things with traditional tunes and make them fit well in this snow-topped music environment. Some examples include Marley’s Song (Track 3) that is really good with a strong instrumental accompaniment that along with the opener “Introducing Scrooge”sets the expectations of the audience high. 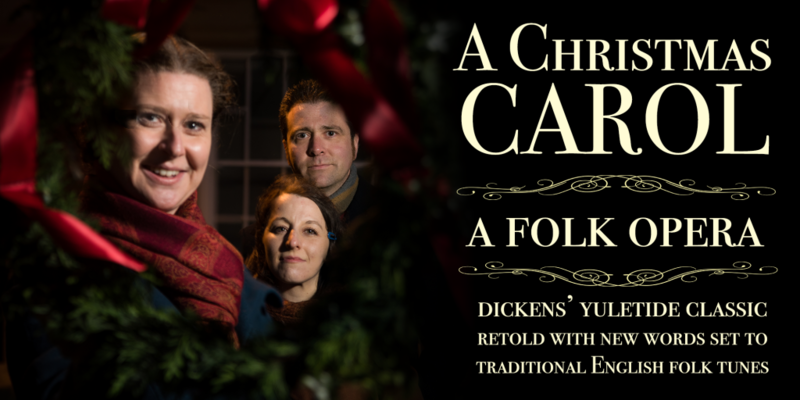 It is energetic and strong and moves into a series of heartfelt and sincere musical jaunts that doesn’t seek to sculpt Christmas into anything other than it is but bringing the dancing shows. It is unpretentious, focused and direct but not without a smile. Deeper into the Grotto that is this album we get the more poignant “Scrooge’s Sweetheart”, and “The Ghost of Christmas Present” too where the deep bass contrasts with flaxen lyrics that slow things down as it should. These tracks definitely deserve some re-listens and an appreciation of the delicateness of parts of this disc. As for the story it is well represented. The recurring themes and tunes weave themselves through and work well and overall it is a good way to start the holidays! Clearly a labour of love which does very well at putting the Christmas lyrics and the spirit itself into a Dickensian favourite. It is light and joyful and goes well in this particular niche, it is highly likely that the general music listening audience might not even consider it as a folk album, but this is not to it’s detriment- Fezziwig would invite one and all to the ball, and so do GreenMatthews..
GreenMatthews are involved in a lot of music, and a fair few touring shows. Check out their website here to keep up to date! Kate Rusby has brought the big guns this Christmas. If she has, they will probably be filled with glitter, sparkles and sweets for her latest album. Full of yuletide themes the cd manages to balance some familiar December songs with rarer numbers and some exciting originals. There is little doubt that this is a Winter Wonderland. Of course it’s not her debut. 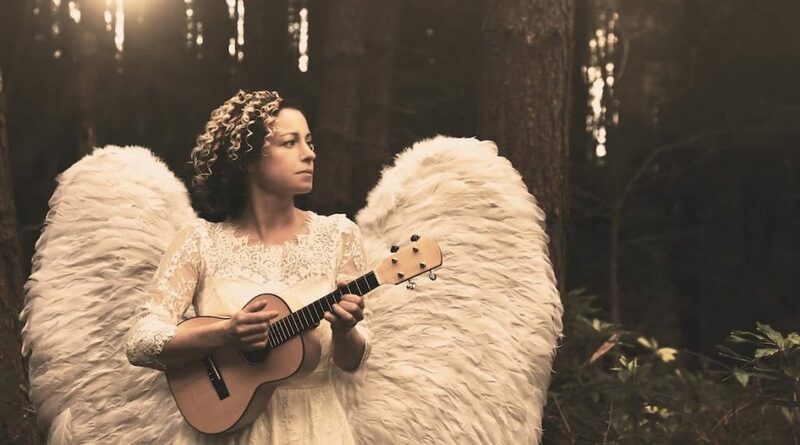 It’s not her first Christmas album either as Kate Rusby has been steering her career like a good ship for many years with her previous entries (such as Sweet Bells) but there is a feeling of veterancy with this particular chapter. As the year draws near and people are looking for the familiar Winter wonders such as “Let it Snow” and “Deck the Halls” Rusby delivers these as her fans would like but with a more shining arrangement than might be expected due to the influence of Damian O’Kane. Much like the recipe for Christmas stuffing and what the exact contents of a mince pie should be, this could provide some source of debate but it works well for tall stories of wonder, which is very much a part of Winter. 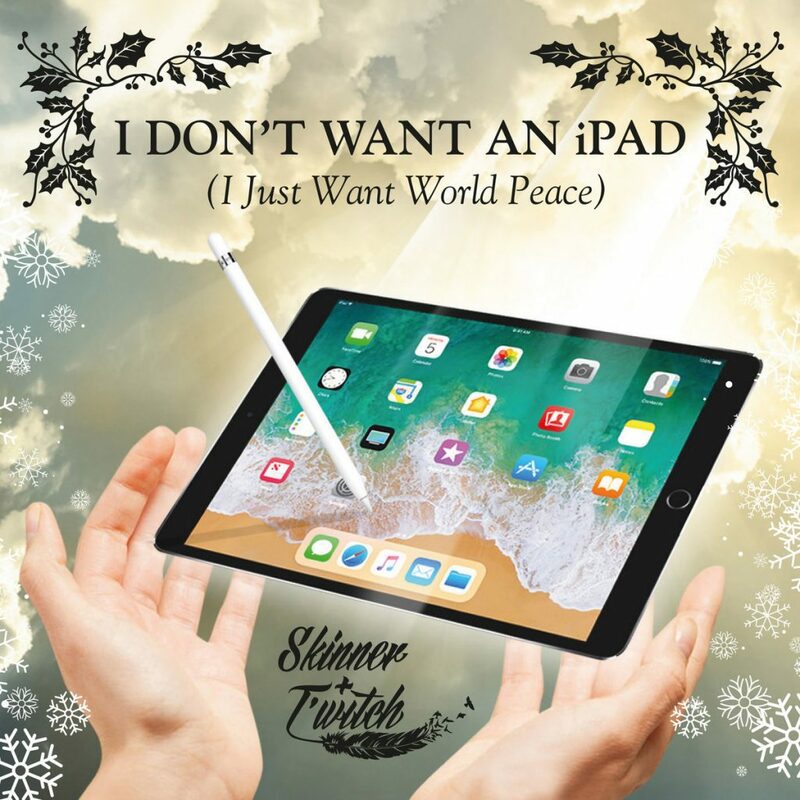 It brings a kind of fantasy element to the album, you might be expecting elves to appear from round the corner or the timelessness of Father Christmas’ journey might not seem as impossible just for a day. From these two particular numbers, “Deck the Halls” is the better, we love the classic brass element in “Let in Snow” but prefer the pacier, lively and wider musicianship in the latter. Of course her joy and playful reworking of the old (probably less heard) “The Ivy and the Holly” song had us in stitches and reminded us of the Dovetail Trio’s parody rendition of the Jolly Herring in it’s delightfully subversive manner. The good thing is that if arguing over the best cover of a Christmas song is all too common, there are several fantastic renditions of lesser known material too. Rusby observes people’s favourite Christmas songs but doesn’t stop at them, she adds to what is already a growing tradition of Rusby songs at Christmas time, which is a great thing indeed. As with “The Ivy and the Holly” track, Rusby injects a lot of her gentle but infectious fun into many of the numbers. She certainly has a sense of humour, and this is I think part of her appeal to her audience.. she doesn’t really have to prove her traditional folk credentials or be poe-faced . She is doing (and has done) that, got the t-shirt and is now wearing a Santa hat. Proof of this is her addition of the modern classic “Santa Never Brings me a Banjo” and the sequel to “Big Brave Bill” from her last album, “Big Brave Bill Saves Christmas”. The eponymous superhero from Barnsley this time saves children from collapsing ice as well as Santa himself in the middle of an avalanche. I don’t know if Rusby has ever been snapped up for children’s TV or approached or what, but she does an especially good job. Simple in structure with warm vocals, it is a lovely addition to the album. “Santa Never Brings me a Banjo” is also a jolly jape of a song, playing on the marmite quality of banjos in particular. The complimentary playing of the banjo by Ron Block doesn’t give banjo haters much ammunition to work with, it is quite cosy, shows the banjo at its best and wraps around the song like a gold bow. Classically stunning vocals from Rusby, a good selection songs and a large helping of Christmas cheer; it is a nice addition to the catalogue. Check out Kate Rusby’s webpage for further developments here! Just so I can wrap this up before the New Year there is an extra track I would like to mention. Check out their site for more details here.